Ksymena Kedzierska, M.D.Jacek Sakowski, M.D. PROVIDERSKsymena Kedzierska, M.D.Jacek Sakowski, M.D. 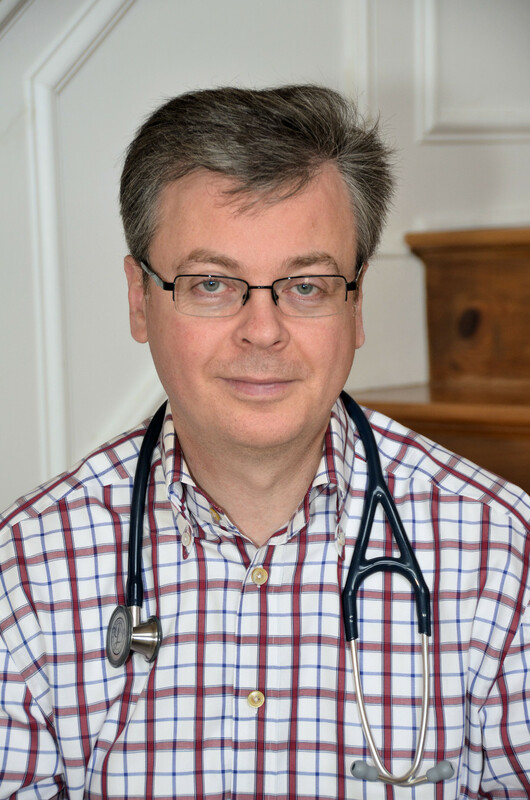 Dr. Sakowski was born in Bialystok, Poland. In 1993, he graduated with honors from the Medical University of Bialystok. His internship and residency were completed at the State Clinical Hospital in Bialystok, Poland. In 1994, he immigrated to the United States to complete his residency at Mount Sinai School of Medicine, Jersey City Program, New Jersey. He is Board Certified in Pediatrics, and on active staff for Saint Clare’s Hospital in Denville. Dr. Sakowski is an empathic, caring, and compassionate physician. He works in partnership with the parents of his young patients. His mission is to give each patient and their family his devoted attention and time. His special pediatric interests include asthma, allergies, and childhood obesity. Dr. Sakowski is fluent in both Polish and Russian. He resides in Long Valley with his wife and two children. In this part of the site will keep you informed about events and news related to our medical office. We invite you to visit our website regularly. We would like to present you our new website. We hope that its appearance and presented content will appeal to you.